Over the Moon Australian Labradoodles sends carefully raised multigenerational Australian Labradoodle puppies to waiting homes in both North America and Europe. We take care to socialize and stimulate our puppies when they are tiny. We have the privilege of being linked with well known dog trainer, Kathy Novokshonoff who gives ongoing advice and encouragement. It is an option for families to send one of our puppies to Kathy for a month of professional training. Our puppies are resgistered with the International Labradoodle Ascociation and are guaranteed not to have genetically linked health conditions. Notch Hill Labradoodles – Dedicated to breeding healthy family pets with great temperaments and allergy friendly qualities. 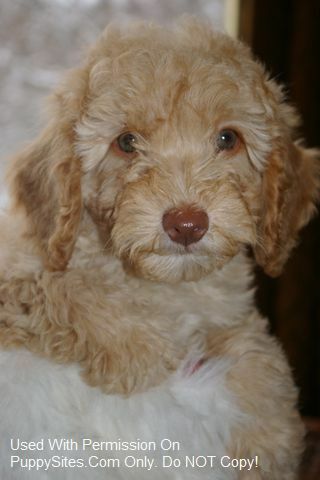 Puppy Patch Labradoodles – Small breeder of the True Multigen Australian Labradoodle and Goldendoodle.